Deepen your sense of the past at sights like Tampere Cathedral and Amuri Museum of Workers' Housing. You'll explore and learn at Vapriikin Museokeskus and Sarkanniemi Theme Park. 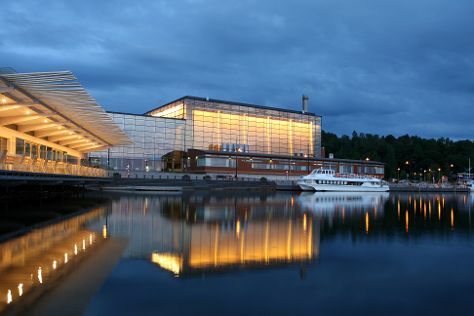 You'll find plenty of places to visit near Tampere: Ahtari Zoo (in Ahtari), Yyteri Beach (in Pori) and Sibelius Hall (in Lahti). The adventure continues: look for all kinds of wild species at Hatanpaa Arboretum, admire the masterpieces at Tampere Art Museum, take in the exciting artwork at Galleria Ronga, and test your problem-solving skills at popular escape rooms. For photos, reviews, where to stay, and tourist information, use the Tampere tour itinerary builder site . If you are flying in from United States, the closest major airport is Tampere-Pirkkala Airport. In February, daytime highs in Tampere are 30°F, while nighttime lows are 21°F. Finish your sightseeing early on the 20th (Wed) to allow enough time to travel back home.